Visitation will also be held at the church, on Saturday, from 11:00AM until time of service. JULIE L. ABEL, age 55, of Loyal, WI, was granted eternal rest at her home with her treasured family near her side on Monday, January 21, 2019 after her courageous 14-month battle with cancer. Funeral services will be held at 1pm on Saturday, January 26, 2019 at Trinity Lutheran Church in Loyal. Rev. Daniel Zimmerman will officiate, and burial will follow in the Loyal Lutheran Cemetery. Pallbearers will be: Kyle Abel, Mike Pappathopoulos, Ben Nikolai, Trevor Olson, Cirilo Aguilar, Marc Dunbar, Brandon Abel, Scott Beyer, Jon Bauer, Jeff Bauer, Joe Bauer, and Steve Ward. Visitation will be held at the church, on Friday, January 25, 2019 from 4pm to 8pm, and again on Saturday, from 11am until time of service. Julie Leann Bauer was born on October 13, 1963 in Marshfield, WI, to Wallace and Donna (Redig) Bauer. She was raised and received her education in Loyal, graduating from Loyal High School in 1982. After high school, she attended and earned a degree from Mid-State Technical College. Julie married the love of her life, Perry Abel, on June 11, 1981. Together, they were dedicated and hard workers, purchasing their dairy farm in Loyal from Perry's parents. It was their pleasure and passion to develop their farm together along with their three children. 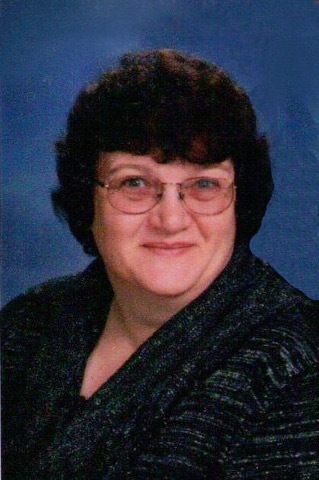 She was an active member of Trinity Lutheran Church, where she taught 1st grade Sunday School for 25 years and previously served as church treasurer. Julie also served on the Board of Directors for Citizens State Bank, and with her family, hosted the 2017 Loyal Dairy Breakfast. Julie was a devoted and loving mother. She was very proud of her family and especially loved being "Grandma the farm." Julie loved holidays and family get-togethers; any chance to spend time with her family was important to her. She enjoyed spending hours cooking and preparing for her company. She also loved reading, mowing lawn, watching movies, spending time at the lake, and talking to her kids on the phone. Julie was the beloved wife of Perry; devoted mother of: Brandon Abel and wife Kim (Esselman) of Fall Creek, Jessica Landini and husband Ryan of Baldwin, Kyle Abel and wife Brittany (Phillips) of Loyal; loving grandma to: Carter Isaac, Allie Jean, Kooper J. and Damion Perry. She is further survived by her mother: Donna M. Bauer, of Loyal; her siblings: Jeanne (Steve) Ward of Loyal, Jon (Roseann) Bauer of Loyal, Jeff (Connie) Bauer of Spencer, Joe Bauer of Loyal; her mother-in-law: Alice Kennedy of Loyal; her father-in-law: Ron (Jean) Abel of Marshfield; several nieces, nephews, other relatives and many friends. She was preceded in death by her father, Wallace Bauer; one sister, Joanne Beyer; and her niece, Jenn Ward.